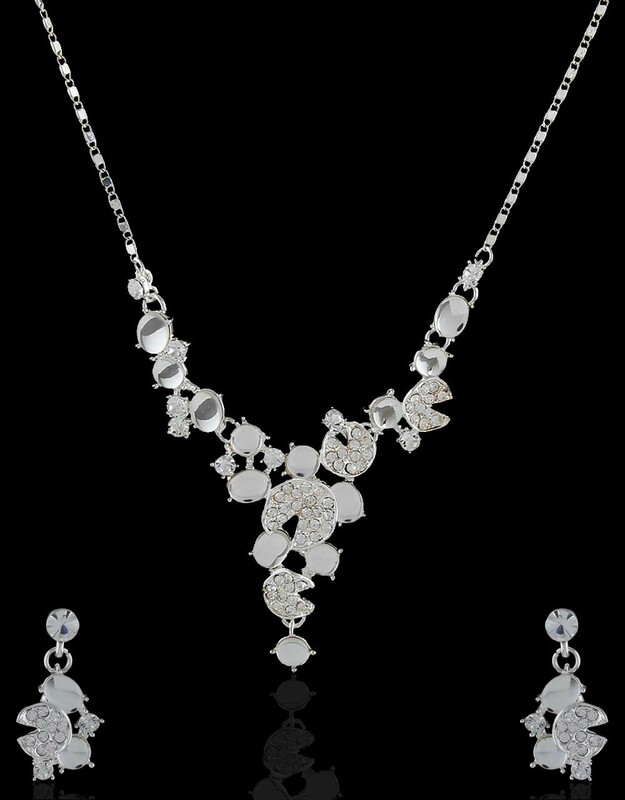 Beautifully crafted silver polished necklace styled with sparkling stones is perfect to club with festive party attires. 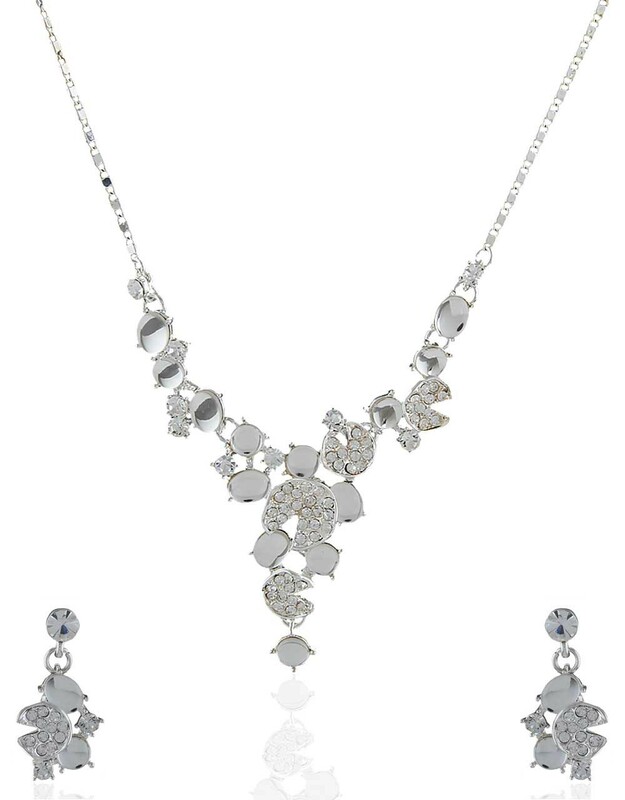 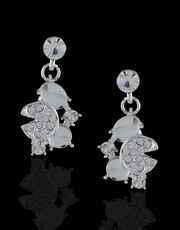 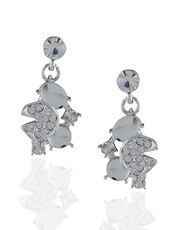 It is encrusted with stunning white stones & fashioned from Korean metal. This set is superior in quality & will last for many years.